Some of the nation’s foremost sports organizations rely on Kelly Furlong’s creativity and imagination to help them raise their game. Whether the goal is to entice elite student athletes to sign with a university or to captivate professional sports fans, Furlong’s design expertise is key to generating memorable, engaging experiences through immersive brand activation. 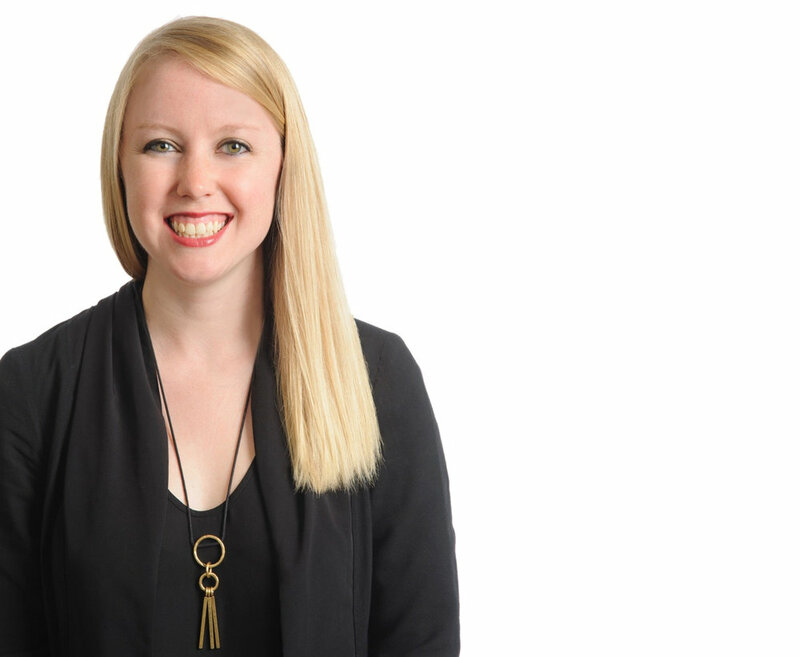 As a senior graphic designer at global sports architecture firm Populous in Kansas City, she specializes in creating three-dimensional branded environments that motivate, inspire, entertain and thrill. Her work appeals to a range of stakeholders, including professional and student athletes, sponsors, donors and fans. “We’re always trying to engage people in new ways, creating concepts that are really unexpected,” Furlong says. She draws inspiration from wherever individuals interact with brands—from the Art Basel international art fair, to Instagram and Snapchat. Since joining Populous in 2013, Furlong has worked on a breadth of projects that include designing signage and wayfinding systems at existing ballparks and creating branded experiences at state-of-the-art collegiate athletic training facilities. The process often involves collaborating with the firm’s architects and interior designers to identify—and visually convey—the unique stories that differentiate a sports team or program. “We work closely with coaching staffs and other stakeholders to really get to the bottom of their story and what sets them apart, knowing that we need to create immersive environments that make a huge impact in a short amount of time,” Furlong says. At the University of Oklahoma’s recently renovated Barry Switzer Center, high-impact experiential branding elements are designed to wow potential recruits and dazzle visitors. In the grand lobby space, which frequently hosts recruiting and donor events, guests are greeted by a prominent display of the football program’s numerous national championship and Big 12 trophies. On the backside of the trophy display, a touchscreen and ceiling-mounted camera invite visitors to pose for a group selfie and select from five different OU-branded filters to share their experience via social media. A hidden niche behind the display uses infinity mirrors and LED lighting to create the effect of endless trophies, reinforcing the Sooners theme of infinite possibilities in the pursuit of excellence. That motif extends throughout the facility to serve as ongoing motivation for players and coaches. “By talking with the athletic director, facilities director, coaches and student-athletes, we considered the entire journey from the locker room to the field and what hype we could create for game day,” Furlong says. Light fixtures throughout the space strobe in synchronicity with music tracks to create an upbeat nightclub vibe. Patterned carpet, graphics and light fixtures embedded in the walls contribute to an infinity effect as players proceed down the corridor and toward the tunnel, where they gather in “the hype room” for a final rallying cry before hitting the field. Furlong also worked with the Chicago Cubs organization to develop a unique entry experience for its new office building located right outside Wrigley Field. Naturally, that included showcasing the new World Series trophy. But rather than housing it behind glass, the owners wanted to present it in a way that is publicly accessible to fans and the entire city of Chicago. The trophy permanently resides on a custom-designed base at the center of the space, with ceiling spotlights so it’s visible from outside the facility at night. Vintage elements include a split-flap display featuring 10 iconic images spanning Cubs history—from the original planting of the Ivy at Wrigley Field, to “Mr. Cub” Ernie Banks, to the World Series victory. Each image is rendered using a mechanical system of flaps, the same method used by old-time train stations to display arrivals and departures. And custom acoustic ceiling panels pay homage to the iconic triangular flags that fly above the Wrigley Field roof and scoreboard. The Populous team also was tasked with designing strategic updates to the branding, signage and wayfinding system within the 1914 ballpark. “Our challenge was to create a new design that fits within the vintage, timeless ballpark and looks like it’s always been there,” she says. A lifelong interest in art led Furlong to pursue a career in graphic design. After earning her BFA degree from Kansas City Art Institute, she landed her first position at Eisterhold Associates, an exhibit design firm specializing in civil rights museums and cultural institutions. “That’s where I really developed an interest in telling stories and creating immersive experiences as a user journeys through a space,” she says. Furlong also discovered the importance of immersing herself in the history and culture of an organization from multiple perspectives before communicating it visually within a space. As it turned out, that was an ideal background for working at Populous. Today, rather than trying to appeal to museum visitors, she puts herself in the shoes of everyone from an 18-year-old high-school quarterback to a 54-year-old baseball enthusiast. Since Furlong joined Populous, the brand activation team has tripled in size and taken on increasingly complex projects. These include the recent Super Bowl Live in Minneapolis, a six-block downtown pop-up festival that provided a celebration experience for locals and visitors leading up to Super Bowl LII. The team also recently opened Esports Stadium Arlington, America’s largest esports venue.